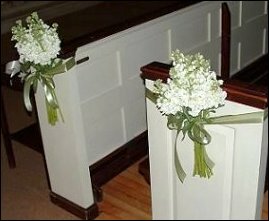 Make BOB FARR'S FLORIST LTD. your first choice for premium fresh flowers and upscale design artistry for your dream wedding and all your special occasions! If you decide to choose a theme when planning your wedding or party, you may like one of these: Island Paradise, Victorian Garden Party, Holiday Winter Wonderland, Butterflies, Military Wedding, Traditional Celtic, or tell us about other fun, unique ideas you have. 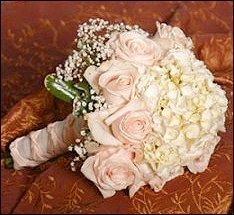 bridal bouquet ~ bridesmaids' and attendants’ bouquets ~ corsages and boutonnieres ~ ceremony arrangements ~ arches ~ candelabra flowers ~ pew markers ~ floral & foliage garlands ~ table centerpieces ~ tall pedestal vase designs ~ cake flowers ~ doors and entryways, etc. At this exciting and hectic time, relax and trust our team of professionals. We can create a personalized look by adding embellishments to your bouquet and bouquet handle with sparkling touches or accents like pearls, berries, butterflies, decorative colored wire, rhinestones, ribbon, tulle, lace, feathers and almost anything else you like. Call us - we would love to make all your special days, extra special! BOB FARR'S FLORIST LTD. is more than just your average flower shop! 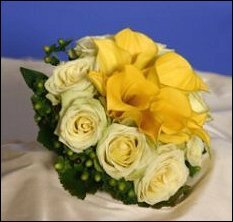 We pledge to go the extra mile to ensure your flowers are more than a memory. Our shop is located at 14149 West McNichols in Detroit, Michigan. Call us in advance at 313-342-3333 or 1-800-232-2964 to schedule a consultation, so we can help you start planning your beautiful event. 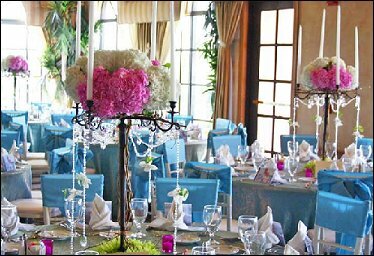 It is sure to be truly magical with flowers and décor by BOB FARR'S FLORIST LTD. Call us today!